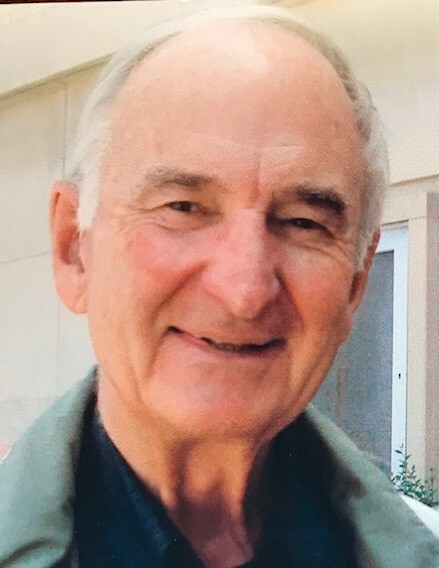 Bruce S. Blietz, 92, a father, war veteran, home builder, private pilot and sailor, formerly of Fish Creek, passed away March 24th, 2019, at the Scandia Village Care Center in Sister Bay, following a long illness. He was a graduate of Northwestern University of Evanston IL, and a member of Pi Kappa Alpha fraternity. A member of the Greatest Generation, Bruce served in WWII in the Merchant Marine, the youngest deck officer aboard the troop transport “Hawaiian Shipper” in the Atlantic, Pacific and throughout the Far East. He was then drafted into the Korean conflict, joining the US Army’s 45th Infantry Division, where he served in the US and Japan. Bruce was active throughout his civilian life in the National Association of Home Builders, the Home Builders Association of Greater Chicagoland and the Illinois and National Boards of Realtors. Prior to retirement, Bruce was president of The Blietz Organization, designers and builders of residential communities throughout the North Shore of Chicago. He was an advocate for the preservation of green space and an award-winning industry leader, recognized often for conservation in land planning. Bruce is survived by his wife Beverly, who was both his co-pilot and sailing crew for 64 years; sons, Craig (Kim) and Cameron (Annie); daughter, Paige (Mike); granddaughter, Mackenzie; and grandson, Casey. A Gathering for family and friends will be held 1:00 p.m. until 4:00 p.m. on Sunday, April 28, 2019 at The Fireside, 7755 State Hwy 42, Egg Harbor, in the Gallery Room. Please enter on the south side of the building. In lieu of flowers, memorials may be sent in Bruce’s name to Good Samaritan Society-Scandia Village, 10560 Applewood Rd, Sister Bay, WI 54234 or to your favorite charity. His family expresses profound gratitude to Bruce’s caregivers and health professionals of the Scandia Care Center and Unity Hospice, for their loving commitment to his comfort and spirit. Casperson Funeral Home & Cremation Services in Sister Bay is assisting the family. Expressions of sympathy, memories, and photos of Bruce may be shared with his family through his tribute page at www.caspersonfuneralhome.com. There's still time to send flowers to the Gathering of Family and Friends at the The Fireside Restaurant from 1:00 PM to 4:00 PM on April 28, 2019.